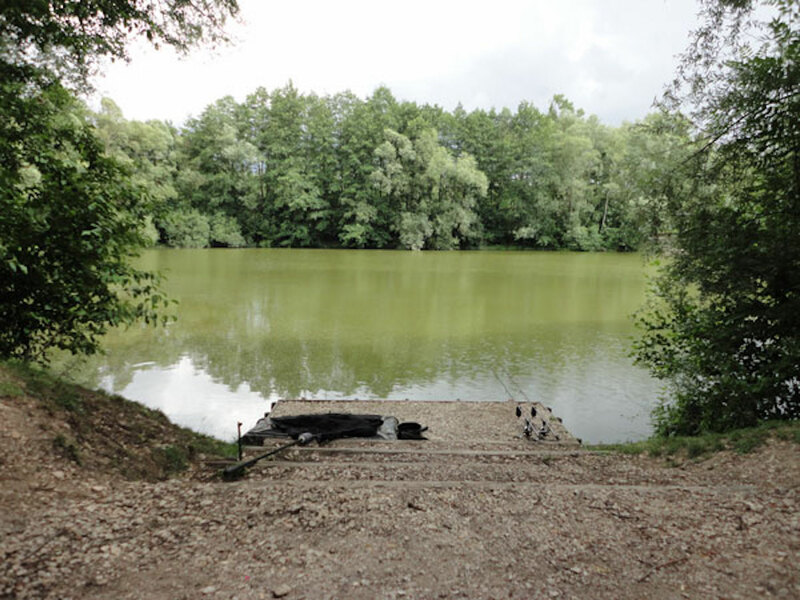 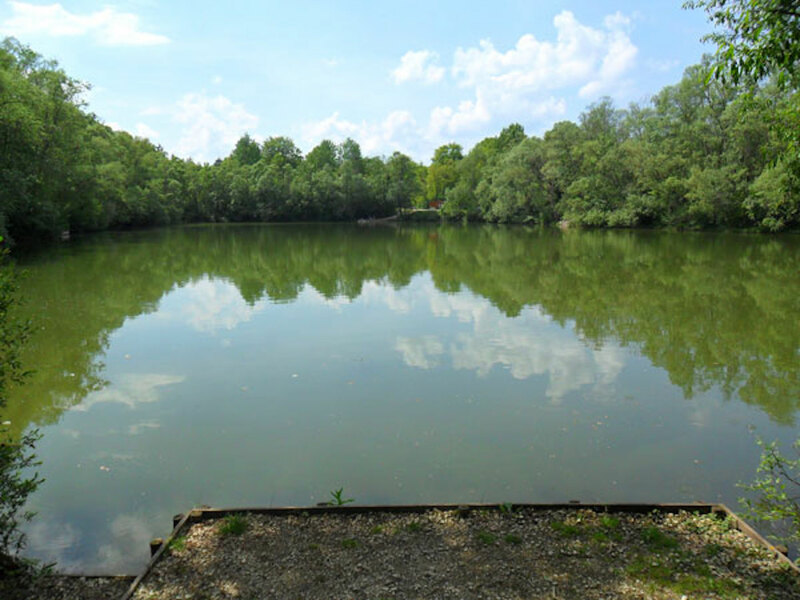 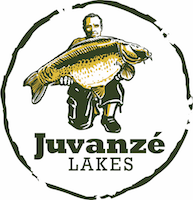 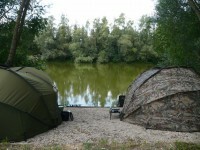 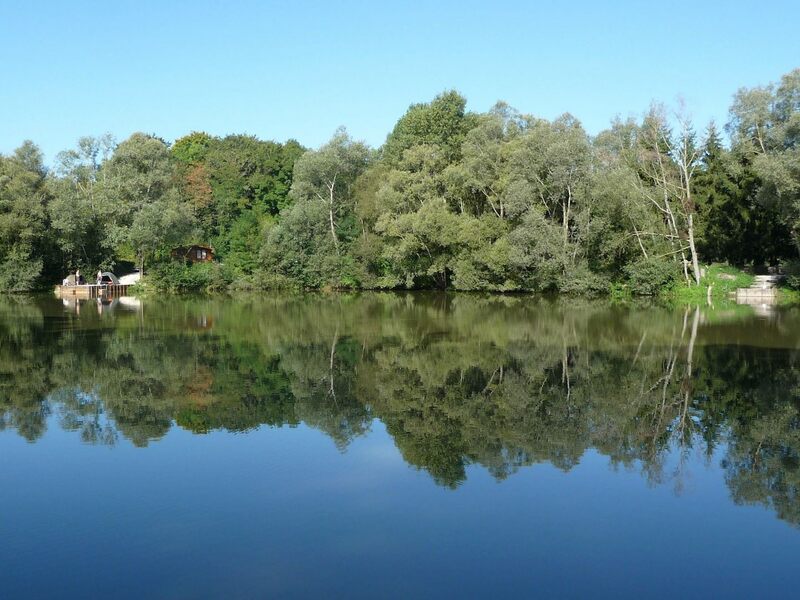 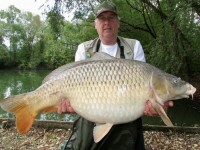 Suitable for experienced anglers, Lake Juvanzé has an impressive stock of carp to 64lb. More than a dozen carp over 50lb, many over 40lb and lots of upper 30s. 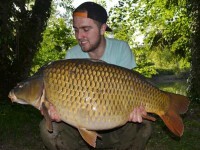 The average weight during 2017 was over 40lb! 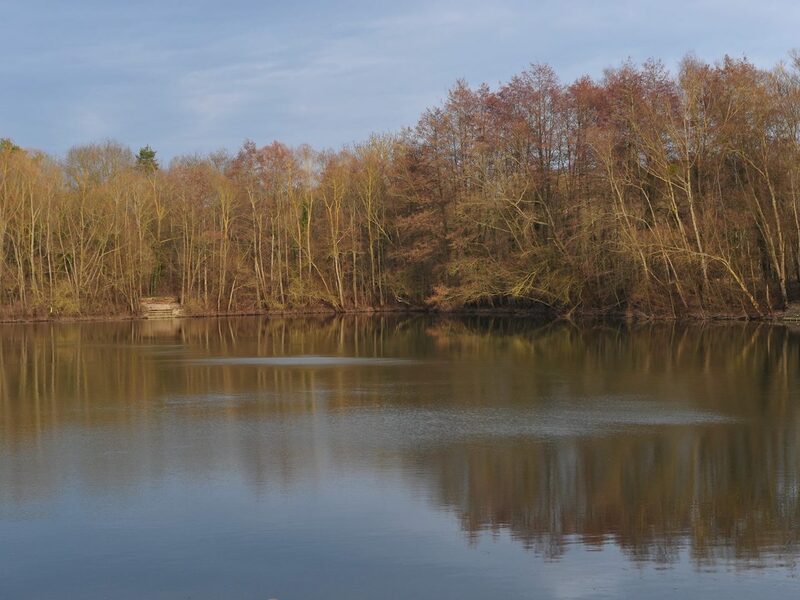 (33 fish averaging 25lb were introduced in December 2017). 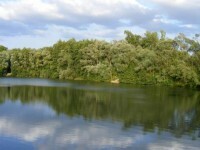 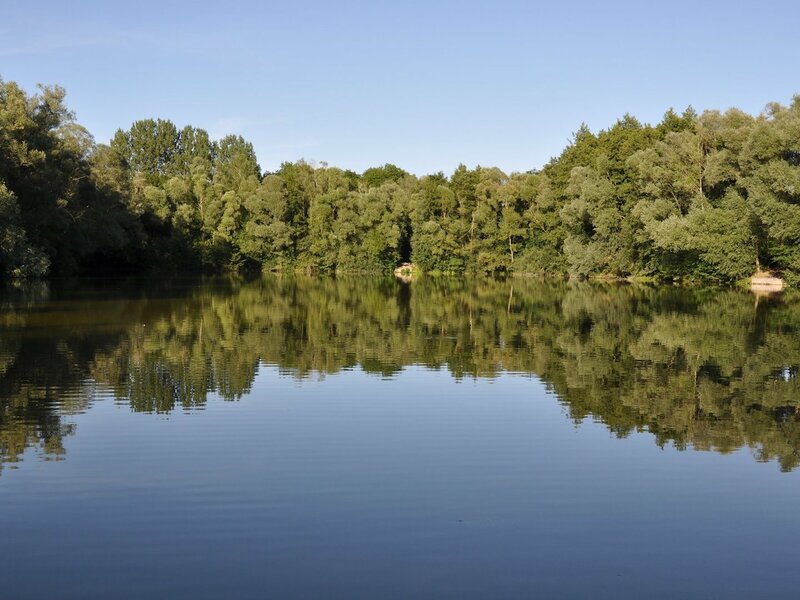 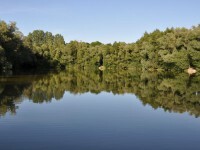 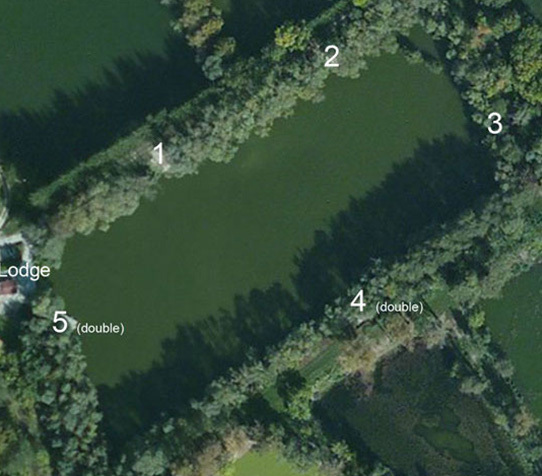 Lake Juvanzé is a picturesque, mature willow-lined gravel pit covering around 5 acres. 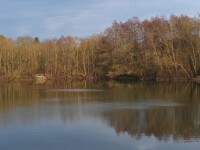 The banks are grassy and lined with overhanging trees. 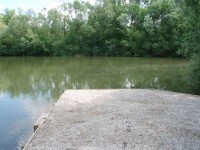 The lake bed is an exciting and challenging combination of gravel bars, plateaus, clay, silt and weed patches. 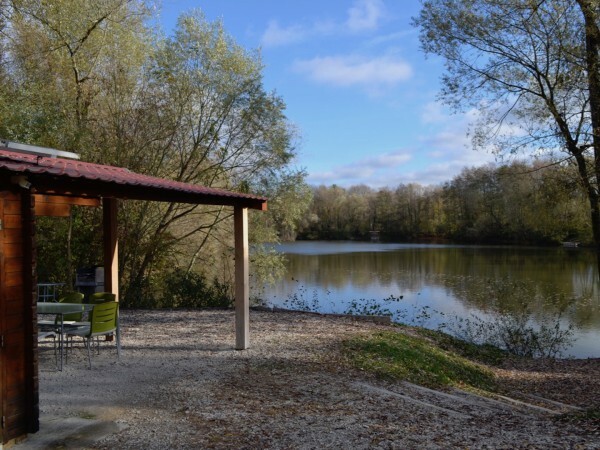 There’s a kitchen, sheltered seating area with a table and chairs and a BBQ, spotless shower and toilet facilities and UK plug sockets for charging batteries* and English TV. 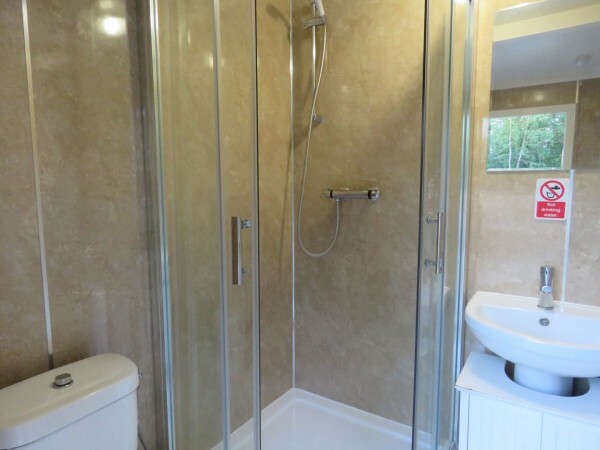 The kitchen will be available from 11th May 2019 and is fully equipped and has a fridge freezer, gas cooker and microwave. We offer this free of charge and ask that in return you leave it clean and tidy at the end of your stay. Juvanzé Lakes provide each angler with a landing net, unhooking mat, weigh tripod and weigh sling so please don’t bring your own. Wifi internet access is available at the lodge. 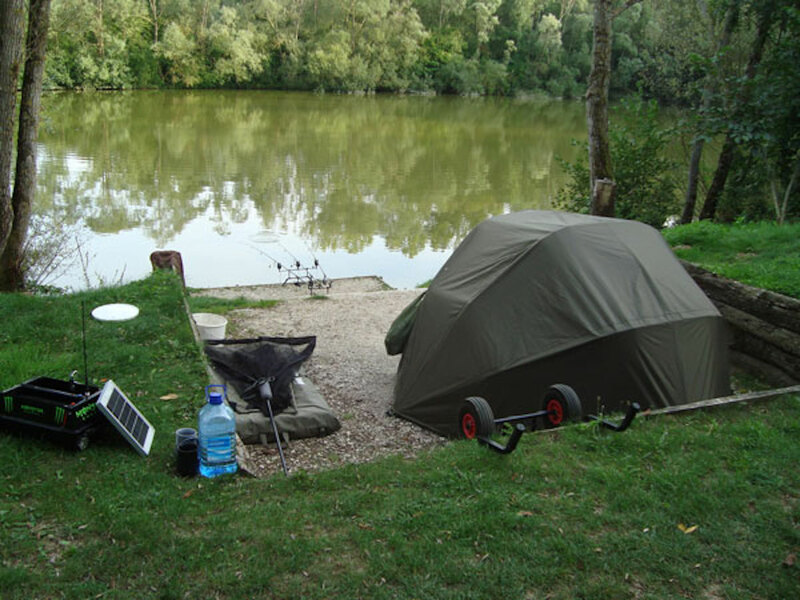 * We produce our own power which is fine for charging phones and boat batteries only, so isn’t suitable for anything high voltage.